Sixteen months ago, Kate Kytle received a grim diagnosis—she had an aggressive form of breast cancer already in the late stages that had spread into her lungs. She was told she only had 18 months to two years to live. With only a few months left in that prognosis, she burst onto a deli patio in Arroyo Grande with a gust of energy, sat down on a picnic table, and pulled out the medicine that’s been at the forefront of keeping her alive. She seemed healthy and lively—and she still had all her hair. The medicine wasn’t an ominous cluster of orange pill bottles. Instead, she had a set of homemade herbal remedies—a green salve in an unmarked white plastic container; a small clear canister holding a potent, thick green oily tincture; and a syringe, without a needle, holding an even a more potent, thick oily substance. “I don’t like to have this out too much in public,” she said about the syringe. A POTENT MEDLEY: Kate Kytle displays the three forms of cannabis-based medicine that she has successfully been using to fight aggressive breast cancer. Kytle uses cannabis extracts high in cannabidiol (CBD), the highly medicinal and non-psychoactive compound in marijuana, to make a tincture, salve, and a concentrated form. Although Kytle was uncomfortable about having all her medicine out in public, she wasn’t shy about what it was, how it’s helped her, and how she wants to incorporate it into a future career. All three concoctions contain high amounts of cannabidiol, or CBD, one of the prominent, medicinal compounds in marijuana. CBD is increasingly regarded for its potent medical applications, and it doesn’t get you high, unlike marijuana’s other prominent and well-known compound, tetrahydrocannabinol, or THC. Kytle, who has an associate degree in gerontology and is close to another degree in nutrition, works with her caregiver, who grows several plants somewhere in the unincorporated area of the county, to produce certain types of marijuana that are high in CBD and low in THC. She makes a concentrate out of those plants using low enough temperatures to retain the medical benefits of the CBD and minimize the psychoactive effects of the THC. The end results are a salve that she applies topically to her breast; a tincture that she drinks in a tea in the morning; and the high-potency oil, kept in a syringe for measurement purposes, that she administers through a suppository, which allows the medicine to be absorbed much more efficiently. Kytle doesn’t like being high, she said, adding that before she started using cannabis medicinally, she smoked only about six times in the last 20 years. Now, the 56-year-old is yet another advocate speaking out against recently introduced local government policies that could ban or restrict the cultivation of medical marijuana. 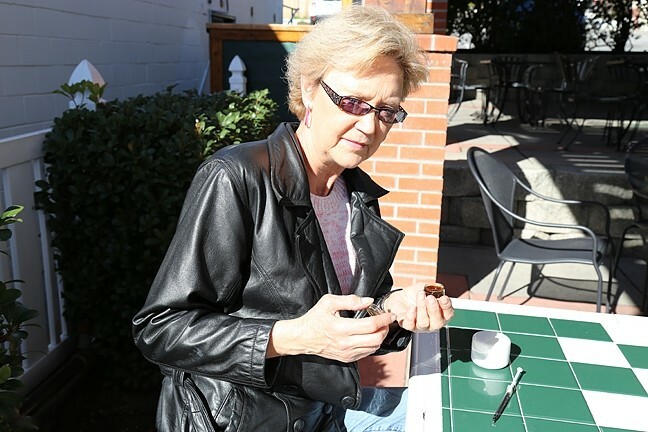 Kytle said that she knew right away that medical marijuana was the path to take, rather than the other option, which was a choice between two different forms of chemotherapy, neither of which she said had been proven to be particularly effective for her diagnosis of Stage IV metastatic triple negative breast cancer. Last July, she was diagnosed with HER2-positive breast cancer, which is also very aggressive. She continued use of the CBD oil—which she said doesn’t necessarily cure cancer, but it greatly helps minimize and mitigate it—and is also using the drugs Herceptin and Perjeta, which are antibody therapies that fight cancer using different methods than chemotherapy. Within five weeks of treatment, a scan showed that her lymph nodes were clear and that the tumors were basically gone. Kytle said that she’s fortunate to have such a productive relationship with a small-scale grower, because it’s also saved her a lot of money. When she first started using medical cannabis, it was costing her upwards of $1,200 a month, which ultimately drained all her financial resources. Now, Kytle and her caregiver would like to do more. She’s interested in applying both her own experience and knowledge as a nutritionist to play a more active role in producing medicine for others. Those plans, however, are on hold, in part because recently passed state laws put a wave of local regulations in motion that will ban or restrict the cultivation of medical marijuana in cities and the unincorporated areas. Those policies have inflamed existing tension between decision makers considering health and safety ramifications and medical marijuana patients—and their providers—worried that the changes could limit their access to the medicine they need. In October 2015, Gov. Jerry Brown signed a set of laws that many say will bring the state into a new era of medical marijuana policy. The Medical Marijuana Regulation and Safety Act (MMRSA) will create a hefty regulatory framework for the state’s multibillion dollar medical marijuana industry. The laws will require state-issued licenses for all aspects of the industry and create the new Bureau of Medical Marijuana Regulation, or BMMR, that will work with several existing agencies to license, monitor, and regulate the industry. Those licenses will be required on Jan. 1, 2018, when the laws go into full effect. The new licensing scheme will turn an industry largely comprised of nonprofit collectives—in which the legal rights of patients and caregivers to possess and grow medical cannabis are pooled together—into one comprised of more traditional business models. Already, there are two major pieces to the laws that are complicating life for both local policymakers and those in the industry. First, an applicant must get some sort of local authorization, like a permit or a business license, in order to get a state license. 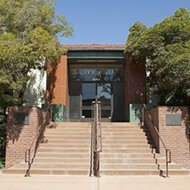 That could be a difficult task, considering no city in SLO County will permit a brick-and-mortar dispensary, some cities have banned mobile delivery services, and grows have endured sporadic complaints and regulatory changes. Most growers have yet to obtain formal authorization. GETTING STARTED: Nic stands with young marijuana plants that are the foundation of his organic outdoor farm, where he grows medical marijuana for patients throughout SLO County. New local restrictions will make it hard for commercial growers to cultivate high-grade medicinal cannabis, they say. Second, a stipulation in one of the laws requires local governments to have some sort of regulatory framework, like an ordinance, in place by March 1, 2016, in order to maintain regulatory control over cultivation. In response, every single city in SLO County and Northern Santa Barbara County has approved or is currently considering a ban. Several city officials have said there was no opportunity to do otherwise, because it would have taken too long to hash out guidelines for cultivation. 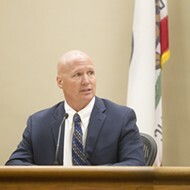 In December, Paso Robles Community Development Director Warren Frace told New Times that meeting the deadline is the first step, and it will be up to the City Council as to whether they want to go back and create more permissive regulations down the road. But that March 1 deadline was a mistake, and Assemblymember Jim Wood—who authored the bill in question—has vowed to fix it. Still, cities charting a course toward an outright ban continue to move forward undeterred. Paso Robles and Pismo Beach both passed outright bans on cultivation at their Jan. 5 meetings, and Arroyo Grande, Atascadero, and Morro Bay will be hearing the issue at their respective Jan. 12 meetings. On Jan. 4, Grover Beach decided to allow personal and small collective-based cultivation. Generally speaking, they’re all looking to ban commercial cultivation. Some cities are considering exceptions for personal cultivation, in part to not completely eliminate patients’ personal access, and also to avoid any potential legal conflict with constitutional provisions of Proposition 215, which legalized medical marijuana in 1996. Cities banning personal cultivation argue that allowing mobile dispensaries will still enable safe access. In December, the Santa Maria City Council banned both commercial and personal cultivation within city limits. 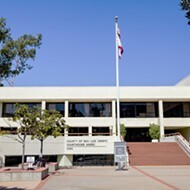 The San Luis Obispo City Council upheld a policy refusing to allow marijuana cultivation in the city. Kelsey, who chose to go only by her first name, was working a night shift at her job as a home health care provider one morning in January 2015 when everything went blank. She said one moment she was having breakfast, and the next moment she woke up in the hospital, five hours later. She had a severe allergic reaction after she inhaled and ingested a high amount of animal dander, and went into anaphylactic shock. That brought on epilepsy, which began to significantly impact her life. As seizures began to happen more regularly, she began taking the drug Keppra. That helped somewhat, she said, but it also meant bad side effects. She also said that conventional medication wouldn’t cure her seizures, and as a young mother with two children, she wanted to be free of them. In early December, Kelsey got a doctor’s recommendation for medical cannabis, called an old friend who grows for a delivery service, and started using CBD. After only a few weeks of administering the tincture under her tongue once a day, she’s seen a world of difference. “The last three weeks I have been totally myself,” she said in an interview before Christmas. She said that a few days prior, the night before her 26th birthday, was the first time she slept the entire night since being diagnosed. After her behavior changed, she said, even her young daughter noticed how she was able to go to the park and be more physically active. JUICE IT: Sarah uses juice from medical marijuana leaves that are high in cannabidiol (CBD), the highly medicinal and non-psychoactive compound in marijuana, to treat rheumatoid arthritis. 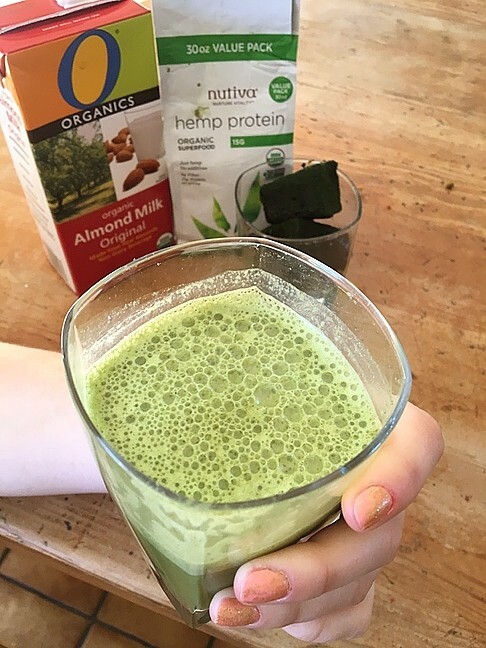 She juices large batches at a time, freezes them, and then drinks it every morning with almond milk and hemp protein, which binds together with the CBD and increases the medicinal impact on the body. Even though Kelsey lives in a city that has banned delivery services from operating, the Paso Robles-based collective that provides for her still regularly brings her a CBD tincture. Nic grows approximately 60 to 70 plants seasonally for the farm on a 1-acre lot within Paso Robles city limits. Nic sticks to organic principles, using specialized medical strains. Every step is designed to produce the highest quality, and most natural, medical cannabis possible. By producing most of the marijuana that goes to their patients, they can keep costs down on the things that they don’t produce, such as CBD tinctures. Like many cultivators and collectives in the area, they offer free or discounted medicinal cannabis to patients who aren’t able to afford it. A proposed ordinance to ban all outdoor cultivation and severely limit indoor cultivation in Paso Robles might throw a wrench in that. Nic said that he’s not sure what they’ll do come spring. He might take it indoors and downsize, he said, which would make things challenging financially. Donavan Vieira, who co-owns Diamond Cannabis Direct, which does in-house indoor cultivation to provide to as many as 800 people, echoed that point. 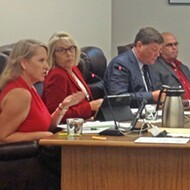 The SLO County Board of Supervisors chose to pursue a different route than that of local cities, or Santa Barbara County, which is scheduled to consider banning both cultivation and deliveries at its Jan. 19 meeting. 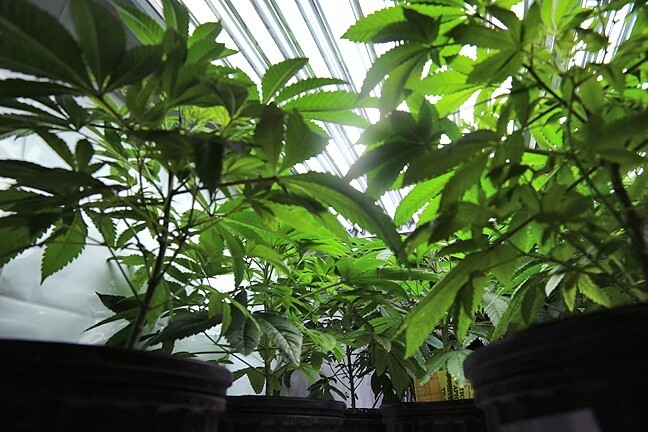 At the recommendation of staff, the SLO County Board of Supervisors unanimously agreed to try working through regulations instead of banning cultivation. 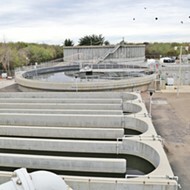 That option will allow the county considering regulatory options before the March 1 deadline. And, should the deadline be abolished, they can slow down and pursue a more thorough process down the road. Guy Savage, assistant county administrative officer, told New Times that the supervisors are scheduled to consider the item on Feb. 9. The county is basing the building blocks of the ordinance on an existing regulation in Mendocino County that’s currently under review. That ordinance limits operations to 25 plants using a “plant count” method and stipulates zoning and setback requirements. Savage said that SLO County is considering a plant count limit and it would probably be lower than Mendocino allows. The county is sticking with a plant count limit thus far, he said, in part because it makes regulations and oversight more possible; put simply, “plants grow.” Many in the industry see it differently. 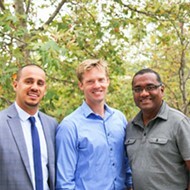 “The plant count model is fundamentally flawed from a growers’ perspective,” said Hezekiah Allen, executive director of the California Growers Associations, which works with growers both in Mendocino County and on the Central Coast. Allen said that encouraging fewer, larger plants limits the farmer’s ability to use conservation methods or best practices, adding that the new state laws look at regulating cultivation based on square footage. But still, he said he’s glad the county is willing to wrestle with an ordinance. Savage said many of the specifics for what a county ordinance might look like aren’t yet clear, including questions like who would enforce the ordinance. The county’s looking at how best to maintain individual access and the rights of smaller-scale caregivers to continue operating. How to address the larger, commercial scale is still something they’re sorting out. “We heard from the public that particularly the individuals that are using medical cannabis need to be able to get their medicine,” Savage said, adding that many who spoke to the board during a Dec. 15 meeting talked about their own personal needs. Sarah, a married mother of three children and an active San Luis Obispo business owner, has spent years suffering from rheumatoid arthritis. At times, her joint pains were so intense that she was unable to get up to walk to the bathroom or answer the phone. Her doctor prescribed her Plaquenil, but her insurance company would only cover the generic version of the drug, which had a filler ingredient that made her incredibly sick. To buy the name-brand version, which she found to be only about 75 percent effective, she was paying $260 a month out of pocket. SPROUTING UNCERTAINTY: Throughout SLO and Northern Santa Barbara counties, local laws are being enacted to ban or regulate medical marijuana cultivation, leaving a large industry in a state of flux. One day in early 2015, her husband came home and recommended that she juice fresh marijuana leaves. Drinking the juice, he said, would allow her body to ingest the potent CBD oils from the leaves and help relieve the arthritis. Sarah, who requested to be identified by a pseudonym, said that the process worked. “It’s made a huge difference,” she said. The juice, and a dietary shift, has helped tremendously, all but eliminating the pain, which still flares up at times, especially during certain weather conditions or if she’s traveling and doesn’t have daily access to the juice. Sarah said that she doesn’t want to, nor can she, grow her own marijuana. Instead, she gets fresh trimmings from the North County-based SLO Grown Genetics. There, Steve Fagan said that he and his brother usually have approximately 50 plants in their flowering stages at any given time, plus more vegetating. 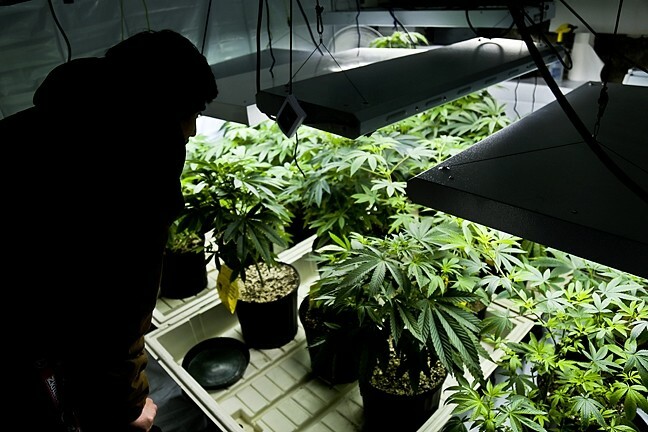 They use a cultivation process often called the “sea of green” method, in which several smaller plants are grown for short periods of time and cultivated in a method that produces only a few high-quality buds. Those buds are then harvested, the plants are replaced, and the process is repeated relatively frequently. Because that process requires a higher number of lower-yielding plants—as opposed to outdoor methods that might involve fewer plants with a higher yield—a plant count limit could complicate their operation. Still, Fagan welcomes the new state regulations. As for size or plant limitations, he said he’ll adapt, to a point, as it’s just part of the business. But, he said, reducing the size of their production might mean more fees or increased costs passed on to the patients. Fagan also said that they’re looking to expand the services that they offer, including delivery, but that he and his brother are waiting for local regulations to be put in place before deciding where exactly to do so. Fagan, who runs his operation in an unincorporated area of the county, said, worst-case scenario, he might consider packing up and moving elsewhere. “I guess this would just be another similar event where you’re seeing a lot of growers who are doing great things for the community having to uproot their farms and grow elsewhere,” he said.